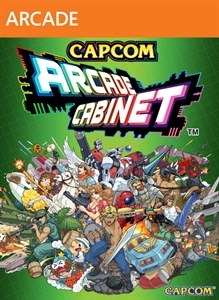 Send a Friend Request | Last Seen Playing "Capcom Arcade Cabinet"
Capcom's pedigree arcade games are back! Take on players from around the world in "score attack" and even play together with online co-op! (Only for titles that support this feature.) Check out these classic games, now loaded with... more info..
Kaos has discovered the ancient power of Mind Magic and is using it to create an unstoppable army of Doomlanders! Eon is calling upon all Portal Masters and Skylands' greatest mystic warriors, the Senseis, to stop Kaos and regain control of... more info.. Kick your adventure into overdrive! The Skylanders SuperChargers Portal Owner’s Pack includes the full video game, works with any Portal of Power from the Skylanders series and includes Instant Spitfire and Instant Hot Streak. Expand your g... more info.. In Middle-earth: Shadow of Mordor, players take on the role of Talion, a valiant ranger whose family is slain in front of him the night Sauron and his army return to Mordor, moments before his own life is taken. Resurrected by a Spirit of v... more info..
Join the DOA girls once again on Zack’s Island in DOA Xtreme 2; the sequel to the most thrilling beach game every created: DOA Xtreme Beach Volleyball. Play & explore at your own pace as you compete in all new island activities. Play as... more info..
Unvealed during Kojima's PAX Prime 2012 panel, Metal Gear Solid: Ground Zeroes is the first open-world adventure in the MGS series. The introduction to a new type of warfare from the critically acclaimed Kojima Productions, METAL... more info..